Astronomers have detected a planet outside our solar system with not one, but three suns, a finding that challenges astronomers' theories of planetary formation. The planet, a gas giant slightly larger than Jupiter, orbits the main star of a triple-star system known as HD 188753 in the constellation Cygnus ("The Swan"). The stellar trio and its planet are about 149 light-years from Earth and about as close to each other as our sun is to Saturn. The new finding could upset existing theories that planets usually form out of gas and dust circling a single star, and could lead scientists to look in new places for planets. "The implication is that there are more planets out there than we thought," the commentary said. 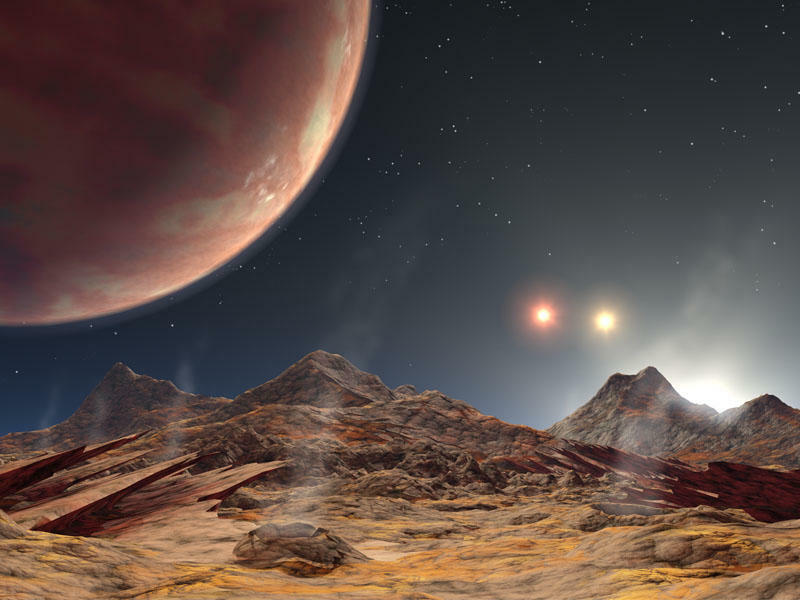 The fact that a planet can even exist in a multiple-star system is amazing in itself, according to Konacki. Binary and multiple stars are quite common in the solar neighborhood, and in fact outnumber single stars by some 20 percent. More details here. 64:3 He created the heavens and the earth for a specific purpose, designed you and perfected the design, then to Him is the final destiny. 10:5 He is the One who rendered the sun radiant, and the moon a light, and He designed its phases that you may learn to count the years and to calculate. GOD did not create all this, except for a specific purpose. He explains the revelations for people who know. 13:2 GOD is the One who raised the heavens without pillars that you can see, then assumed all authority. He committed the sun and the moon, each running (in its orbit) for a predetermined period. He controls all things, and explains the revelations, that you may attain certainty about meeting your Lord. 41:37 Among His proofs are the night and the day, and the sun and the moon. Do not prostrate before the sun, nor the moon; you shall fall prostrate before the GOD who created them, if you truly worship Him alone.